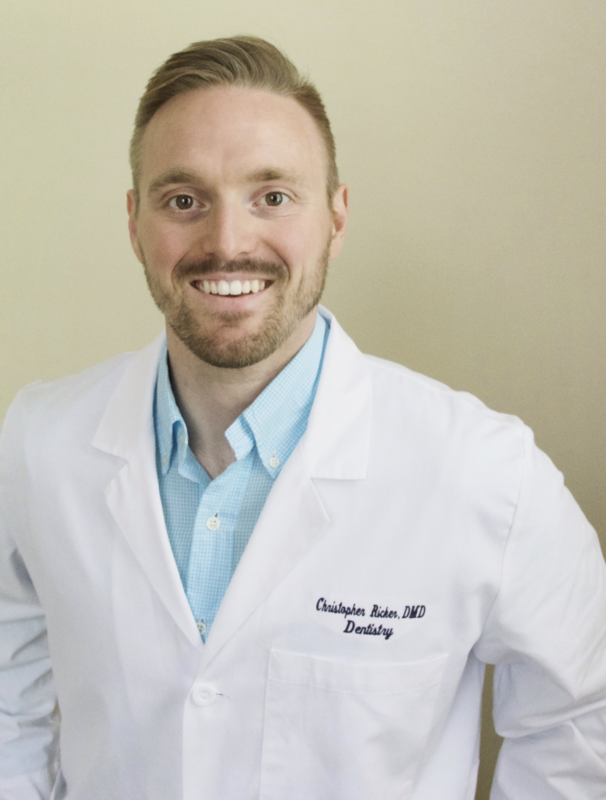 Dr. Christopher Ricker, DMD, joined Oak Ridge Dental Arts in November 2018. He received his Doctorate of Dental Medicine from The Medical University of South Carolina in 2016. After graduating, he headed right into a General Practice Residency at Palmetto Health Hospital in Columbia, SC specializing in dental implants and dental surgery. Dr. Ricker takes pride in making connections with his patients. Patient satisfaction and comfort are his priority. He approaches treatment for all patients as if they are a family member. Dr. Ricker is passionate about dentistry. He stays current with the newest research, cutting-edge technology and procedures through continuing education courses and his own personal study. Dr. Ricker is an active member of the American Dental Association, North Carolina Dental Association, and American Academy of Cosmetic Dentistry. Dr. Ricker has been married to his wife Becca for 10 years and LOVES being a Dad to his sweet 2 year old daughter. They enjoy spending time together as a family. He loves music, playing guitar and drums, and especially being outdoors.